The objective of best practices is to drive efficiencies in various processes, reduce failures, and simplify the design of solutions through the potential application of patterns. Based on these reasons, it is of benefit to formulize many functions and processes by using best practices. In many organizational situations, however, the belief is that best practices can be universally accepted without considering the internal capabilities of an organization. 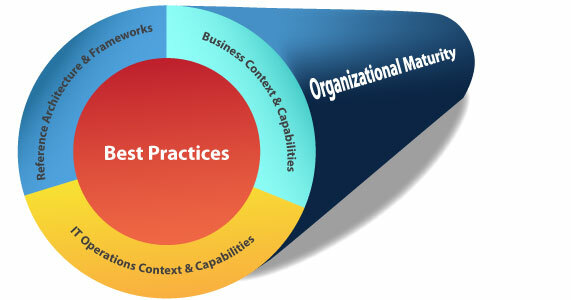 This assumption is flawed; it is prudent to evaluate existing and new best practices based on the four criteria outlined in the following diagram. From an IT context, best practices always need to be evaluated against existing architectural frameworks and generally accepted standards pertaining to the various IT domains impacted by the best practice. Based on their name, frameworks provide boundaries of interest that help to define scope and usefulness. The second aspect for evaluation is operational capabilities. A best practice might not be ideal for different operational environments and could impose an additional workload or a bloating of process flow without direct measured impact on efficiencies. Therefore, the evaluation and implementation of a best practice must consider the operational impact and the general IT value chain of core processes in order to deliver the IT solution required by the business. From a business context, best practices can drive significant process efficiencies and improve overall process output. However, this is assuming that business is willing to consider best practices in their context and demonstrates a willingness to adopt and implement such practices. Most often, best practice implementations can be measured with various KPIs to assess impact and effectiveness. Organizational maturity is critical in assessing the usefulness of a best practice. Maturity models provide an excellent tool to assess the current state of an organization, department, function, or technological application. 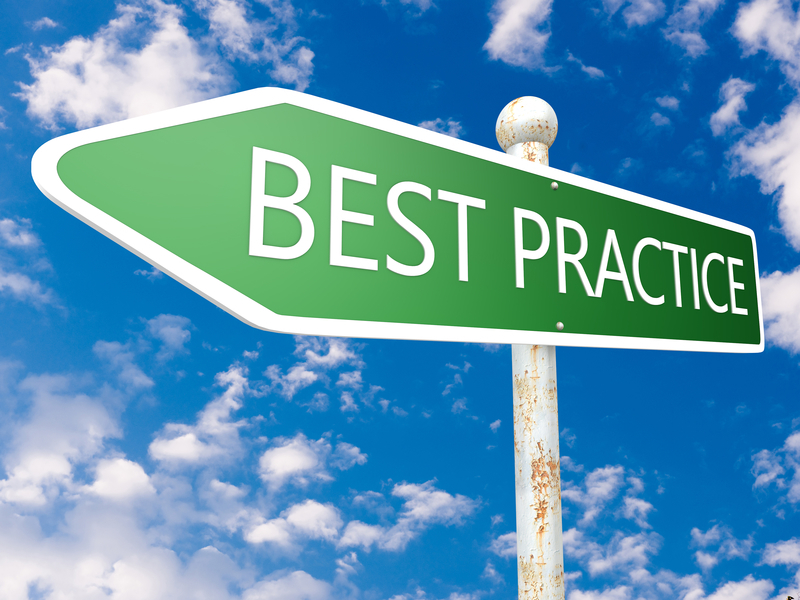 Generally, as an organization matures in its process execution, it will also increase the use and application of best practices. However, one cannot be implemented without the other. There needs to be a general trend of improved organizational maturity in order to utilize and take advantage of best practices. The reverse is also true—best practices will not be effective if the related organizational maturity is missing. Evaluating existing best practices and designing new ones within this described context will ensure that the adopted and implemented best practices will contribute better efficiencies and overall organizational effectiveness.